Give each child a pine cone. Provide plenty of the rest of the materials. 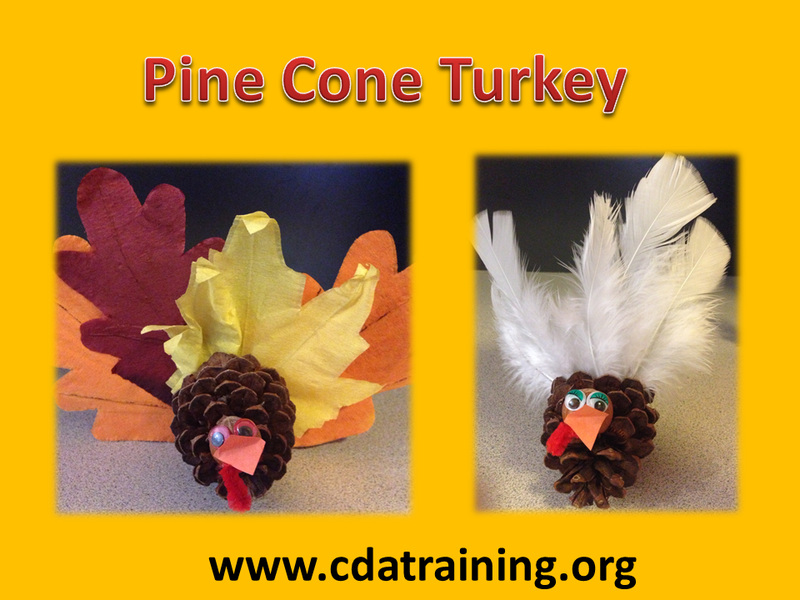 Encourage the children to create their own Pine Cone Turkey.